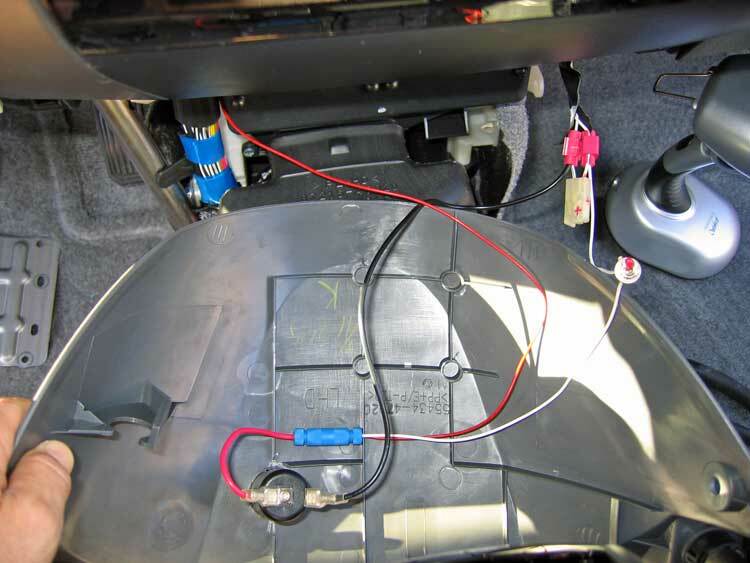 Two goals here - add a second *always hot* 12V outlet to the front of the car for my Garmin Street Pilot GPS unit, and reconfigure the existing outlet to be either switched or always hot. The first order of business was to get a head start from the Coastaletech site which shows the proper "always hot" wire to use (yup, I cheat when I can). 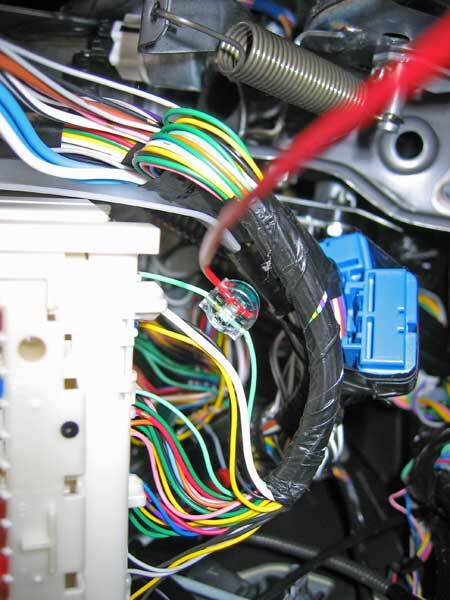 That light-green wire is, in fact, the wire that feeds the relay that switches the existing 12V outlet (thanks Hobbit!). Tapping into that circuit before the relay, means that the same fuse and wiring is still being used to feed and protect the "always hot" feature that I'll be adding. After first removing the proper dash bits, I tapped that light green wire. I used a Radio Shack telephone tap for this. Worked GREAT with the 18 gage (red) extension wire that I chose. 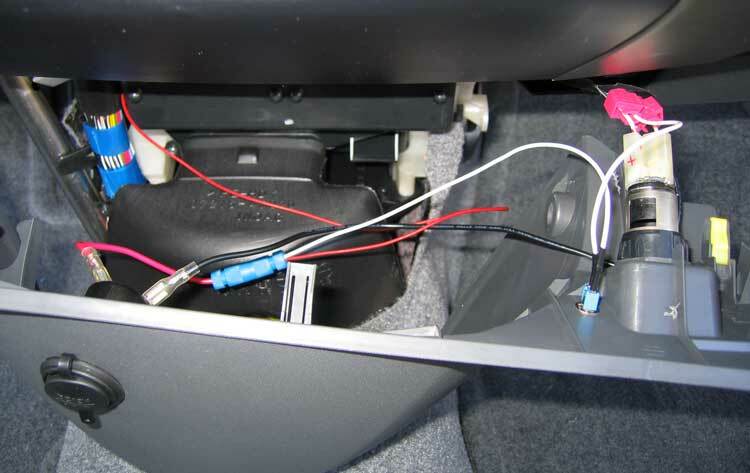 That red wire was then routed into the lower center section of the dash that holds the existing 12V outlet. I added a Y to that red wire (one leg of the Y is the white wire) and attached one leg to my new 12V outlet, and the other leg to a toggle switch for the existing outlet. I used the ground wire from the existing outlet to ground the new outlet as well. One more shot showing everything in place. And all buttoned up. 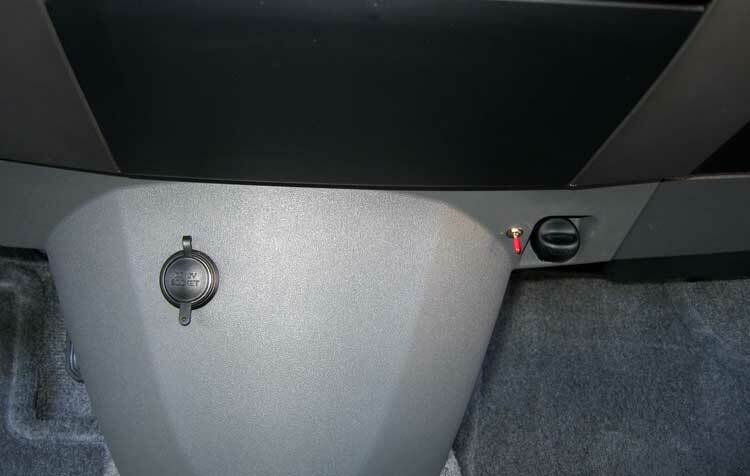 With the toggle down, the outlet is switched with the ignition as it comes from the factory. 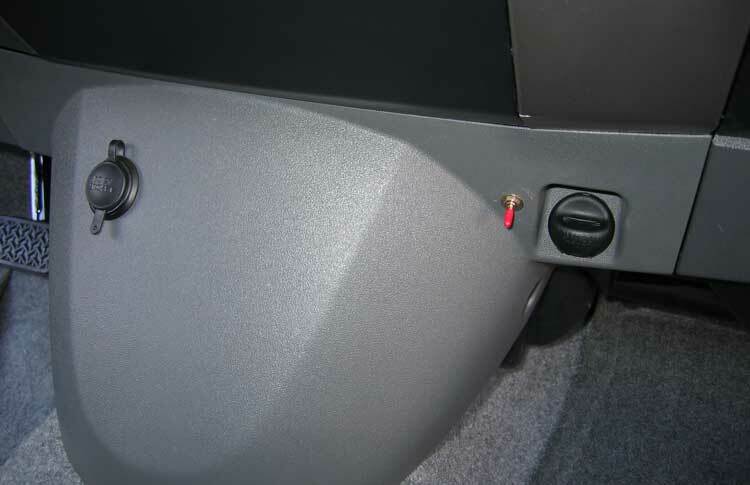 With the toggle up, the outlet is always hot. The new outlet is all hot all the time (specifically for my GPS).